We are calling on the Government of Cameroon to stop its interference with Internet activities in parts of the country forthwith. We have it on good authority that Internet connections have been blacked out in some areas of the country for up to 9 days as at press time. Internet users in Cameroon are pointing fingers at the government after several reports of Internet blackouts on Tuesday, 17th of January, 2017 which lasted for several hours and for some, until the early hours of Wednesday in many parts of the country – especially the North West and the South West regions and several evidences have surfaced to back this allegation up; For example, Government fibre optic provider CAMTEL in a letter confirmed to minister of Posts and telecommunications that their directive to shut down the internet had been carried out. Reiterated that an investigation will be carried out and any provider found not respecting directives will be published. Users began experiencing what they consider to be shutdowns after Cameroon’s Minister of Communication, Issa Tchiroma Bakary announced that the government has declared the Southern Cameroons National Council (SCNC) and the Anglophone Consortium illegal. These groups had been at the forefront of strike actions that began with the Lawyers’ and Teacher’s trade unions a few weeks ago ending in a stalemate in dialogues between government officials and protest stakeholders. In a decree signed by the Minister of Territorial Administration and Decentralization, Rene Emmanuel Sadi, the government says the Southern Cameroons National Council (SCNC) and Cameroon Anglophone Civil Society Consortium (CACSC) are acting in breach of the Constitution of Cameroon, jeopardizing the territorial integrity, national security and integration of the country adding that it will carry out legal proceedings against defaulters. Supporters of the movements have been told to desist from activities linked to those of the groups across the national territory. The government’s decision to outlaw the Consortium group and arrests its leaders has shocked and angered its supporters who have taken to social media to demand their release. The decision comes a day after the head of an Inter-ministerial Adhoc Commission charged with seeking solutions to the grievances and demands of the Trade Unions, Prof Paul Ghogomu announced that he ended his dialogue and solutions mission with a report compiled and forwarded to the Prime Minister, Philemon Yang. The government’s move may be seen as a result of fruitless attempts to reach a concrete agreement with striking teachers and lawyers of the North West and South West regions who have grounded schools and court sessions for close to three months. Last week, faced with complaints of blocked lines, inability to make and receive calls and suspicion from customers that telecommunications providers had a hand in trying to restrict communications and the internet, MTN Cameroon published a statement denying the allegations. In recent times, government officials have castigated social media users in Cameroon and suggested a need to create and enforce laws regulating the internet and social media use. However, it is no news that Cameroon has some of the most repressive laws on press and human rights freedoms. Law N° 2010/012 of December 21 2010, on Cybersecurity and Cybercrime, governs the security framework of electronic communication networks and information systems. It also defines and punishes offences related to the use of information and communication technologies in Cameroon. On November 10, 2016, the Speaker of the National Assembly, in a speech that referred to social media as a “new form of terrorism”, spoke against freedom of expression on the Internet and social media, possibly hinting at a planned government policy to curb freedom of expression online. On the 1st of July, 2016, the 32nd regular session of Human Rights Council adopted the Resolution A/HRC/32/L.20 on Digital Rights. The resolution titled “the promotion, protection and enjoyment of human rights on the Internet” made an enduring case for issues of Internet rights and why their violations have to stop. Also, at the just concluded EU-AU Human Rights Dialogue held in Brussels, Belgium on the 10th of January, 2017, the joint communiqué released emphasized the protection of freedom of expression and right of access to information in the digital age. The African Court of Human and Peoples’ Rights’ Resolution on the Right to Freedom of Information and Expression on the Internet in Africa was also welcomed and emphasized on the need to have rights accruable offline to be transmuted online. These among many other globally acknowledged resolutions by stakeholders have given expediency to the need to step up guard against abuse of freedom of expression online and arbitrary Internet shutdowns especially in countries with peculiar governments in Africa. These resolutions more than ever, mirrors the minds of several millions on the use of the Internet on restating to their governments that governance is possible, even more optimized, without interference or shutting down of the Internet. 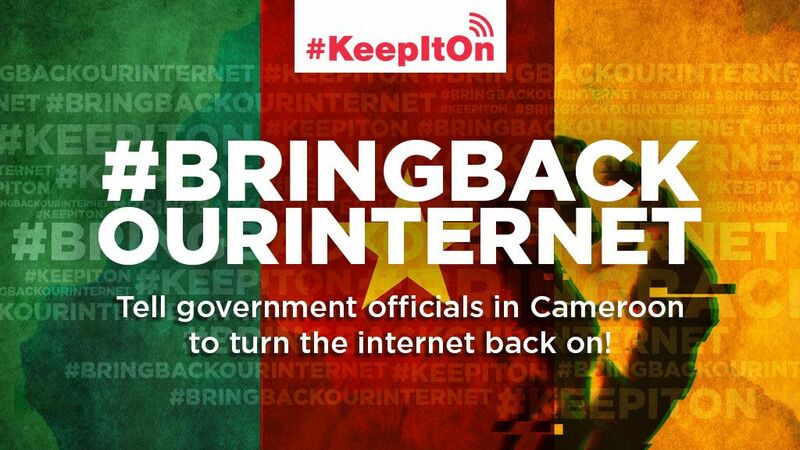 We call on the Government of Cameroon to desist from clamping down on human rights online and restore all Internet activities in areas of the country that have experienced shutdowns. We hope the government heeds the call and project itself in the positive light for the global community and seize this opportunity to brand itself as a right-respecting institution. By ParadigmHQ | AbaLIFE, L.I.F.E. 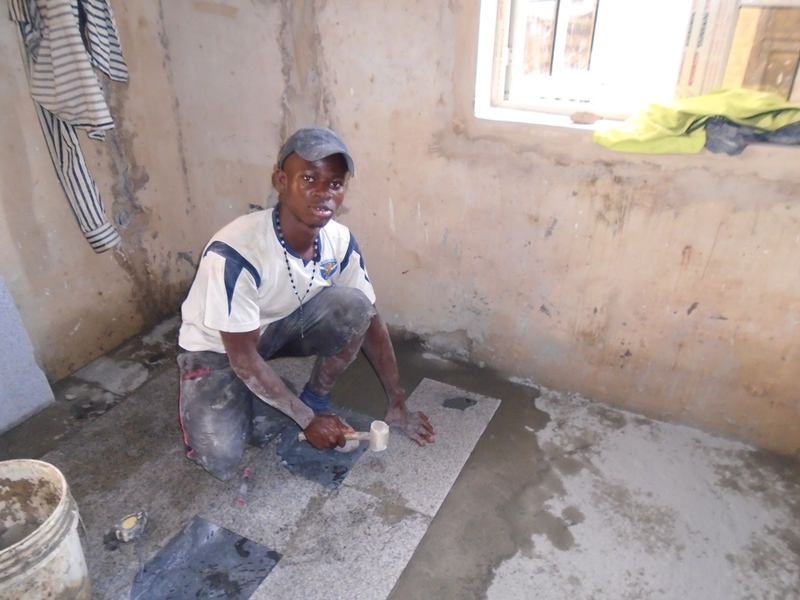 Chinaza was an apprentice, learning to lay building tiles when he heard about the AbaLIFE Program. What fascinated him the most was that he would have an opportunity to learn ICT skills, which he considered as something that could change his fortune. Like many young people in Aba who have had early exposure to artisanship; he found the entrepreneurship aspects of the training very relevant to his daily life. Chinaza found new dreams going to the classes and knowing that he could be a tile installer with a difference. After the AbaLIFE 2015A training, Chinaza started to look for jobs. “We had been taught to market our skills and bid for jobs.” In a short while, Chinasa landed three jobs which had all been successfully completed as at the time he told his story (2015). “I would never have been confident enough or believed I was good enough except for the skills that I learnt during the AbaLIFE training. I learnt to believe in myself.” He says. He had lost hope of furthering his education beyond secondary school due to lack of resources but now he is bold about the fact that he will return to school. “I have skills and I am making money. I will be able to pay my way through the university where I intend to study Civil Engineering.” He said happily. 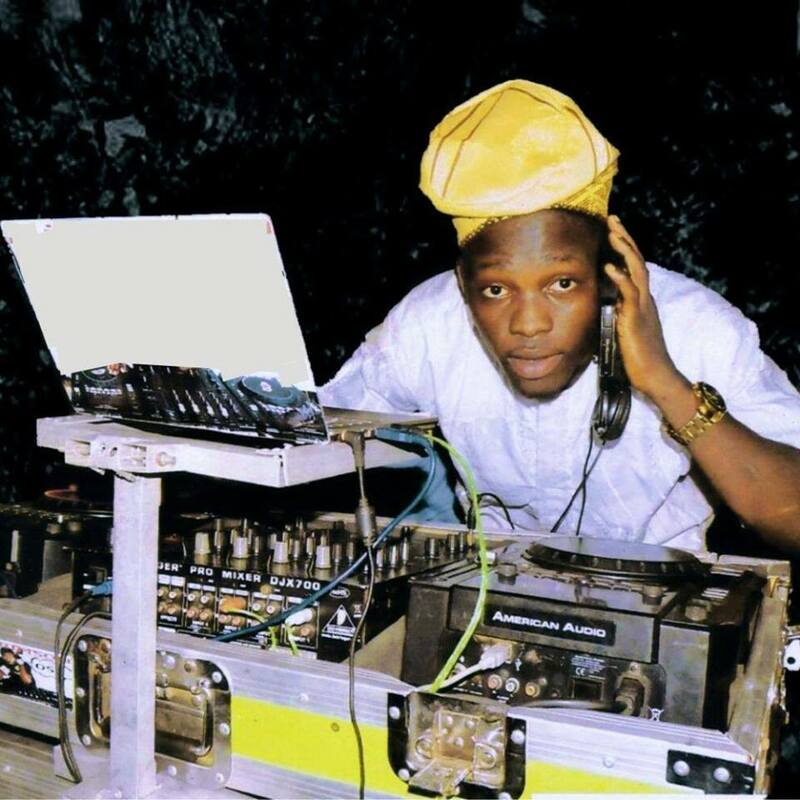 Before AjegunleLIFE, Fatai was an aspiring DJ who mostly practiced in his home to the entertainment of his siblings and friends. He also helped his father with his retail drinks business. “I was always full of self-doubt and had this plaguing thought that I wouldn’t be able to succeed at anything.” But going to the program changed Fatai a great deal. The skills he acquired helped him improve his confidence and the entrepreneurship and life-skills classes taught him that success wasn’t a function of luck. “I now know the things I had to do in order to succeed.” He said.